Beautifully maintained 1.25 acre mini farm with goat shed that has a 8x8 stall (and 2 goats) on a PAVED ROAD!. Irrigated garden area and cute garden shed. Has 2 car detached carport with storage area. 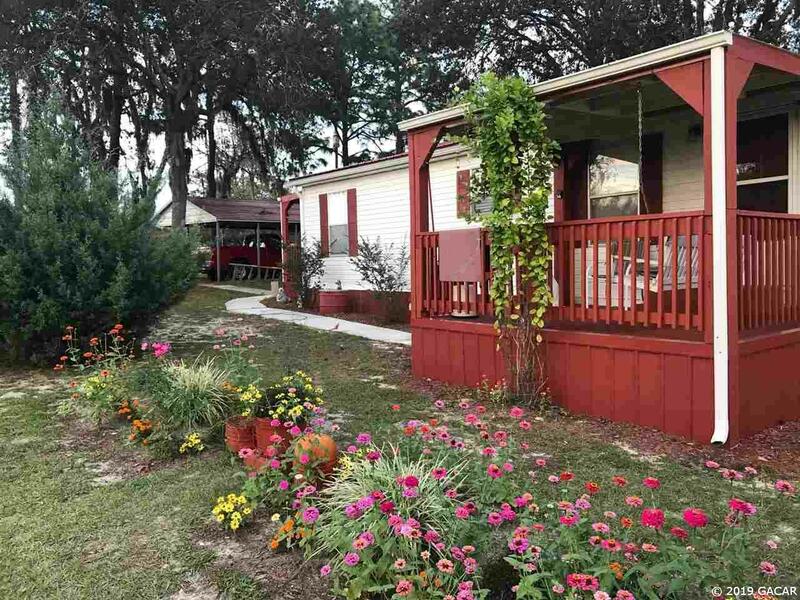 3bedroom/2 bath manufactured home with textured walls and vaulted ceiling throughout. Roof, A/C, & septic under 7 years old!!! Sit on front porch bench swing and enjoy the sunsets. Great curb appeal.